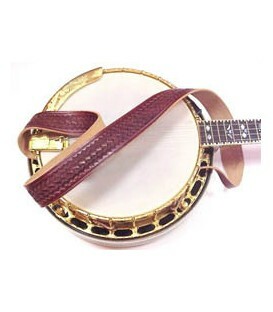 Attaches to the banjo with no noise, non scratch leather tabs that fit all beginner banjos, and uses no metal on metal parts. 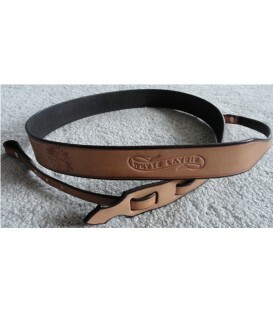 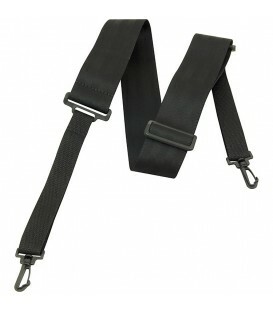 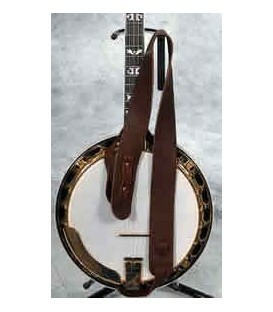 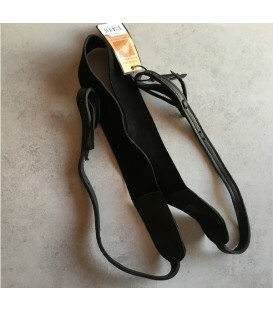 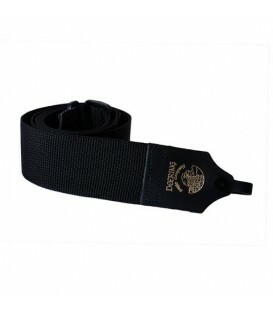 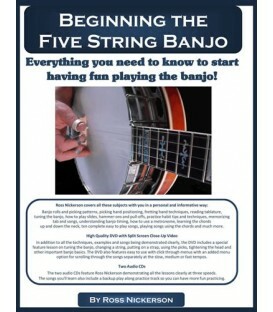 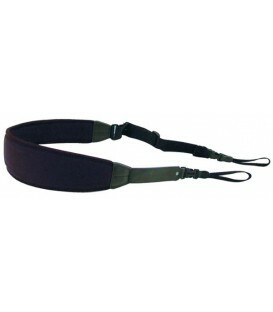 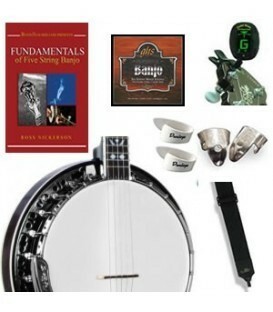 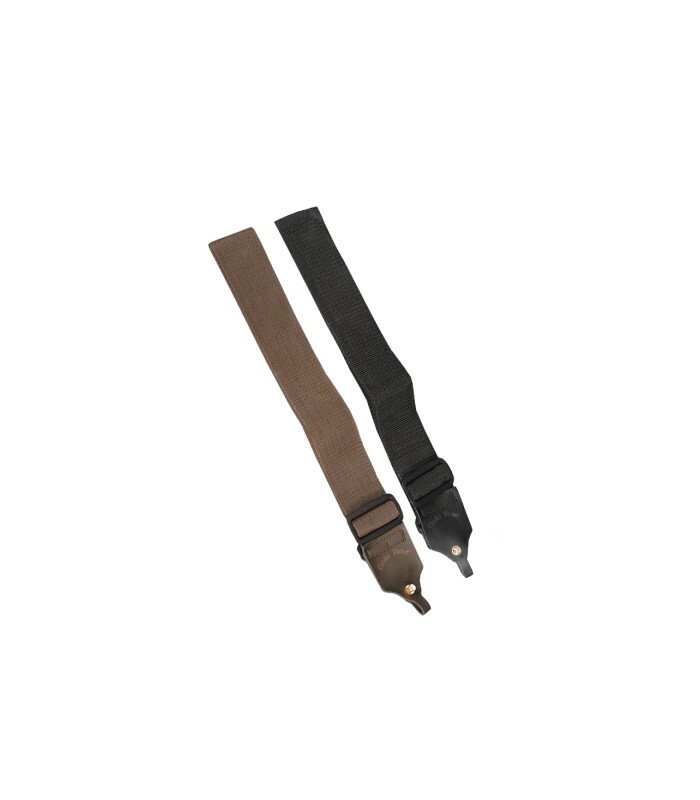 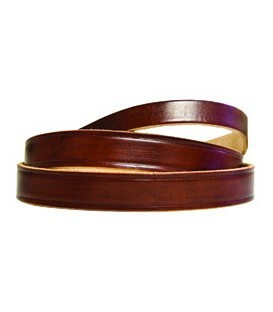 This banjo strap is perfect for lighter weight beginner banjos. 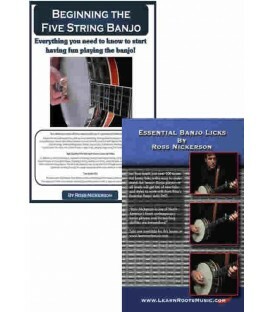 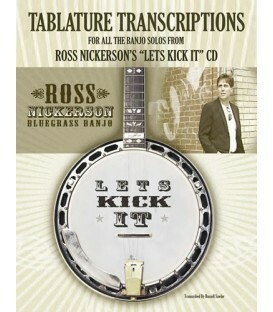 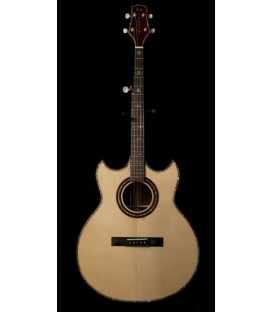 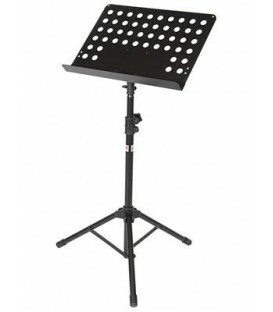 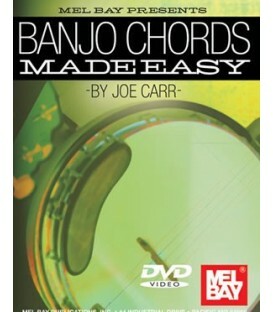 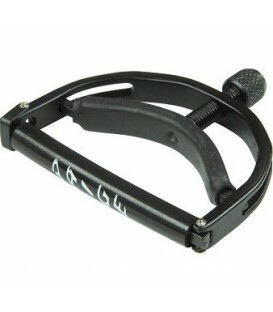 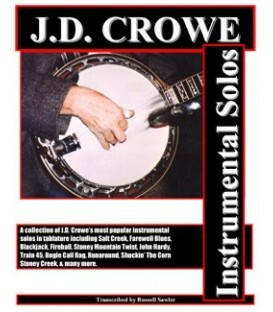 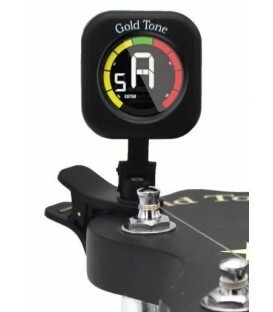 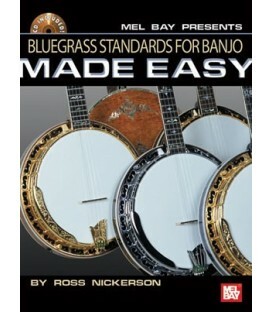 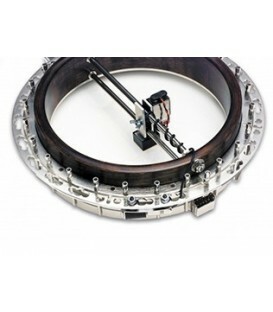 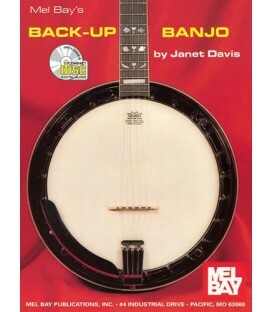 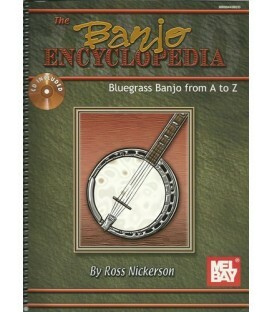 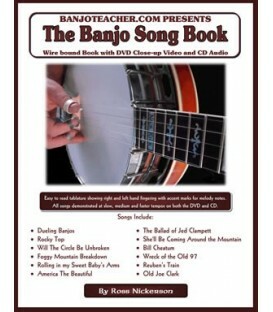 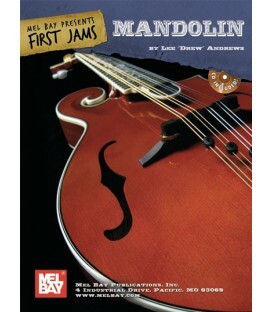 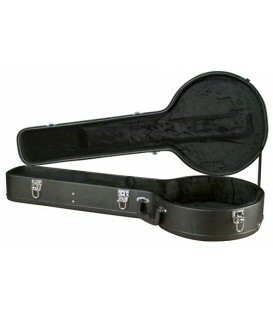 It attaches with leather tabs that fit any banjo bracket type without using noisy metal clips. 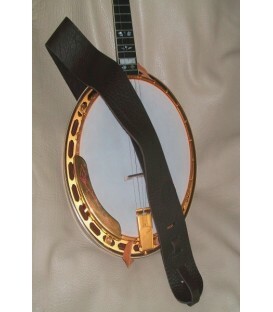 Designed by Gold Tone Banjos, this strap works great on lighter models and banjos without enough space under the hooks for a cradle strap. 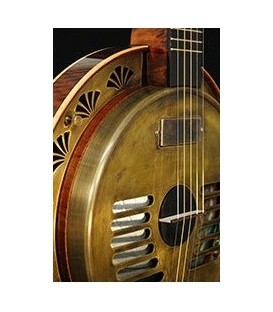 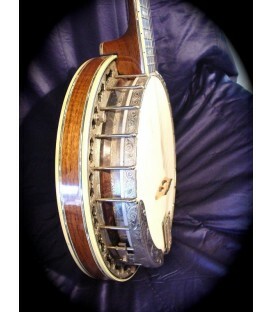 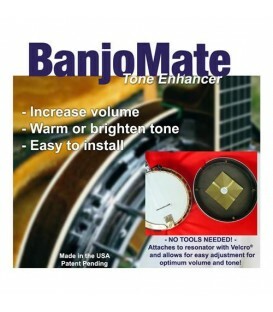 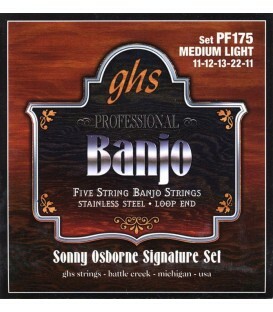 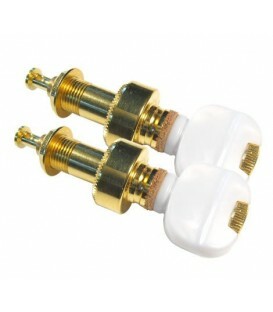 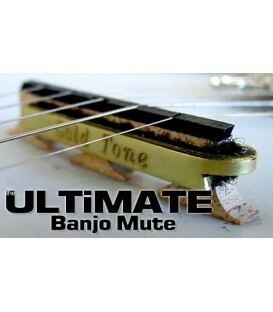 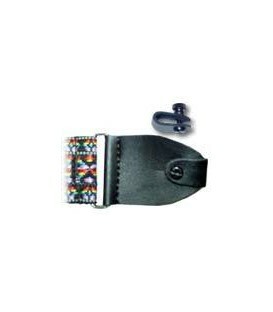 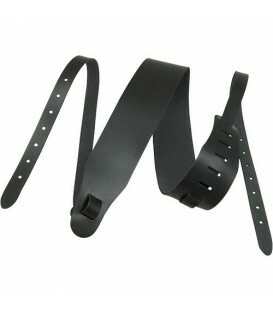 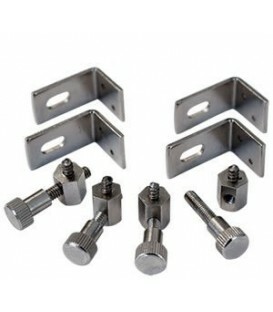 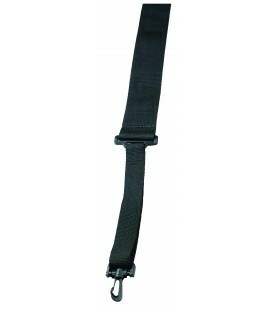 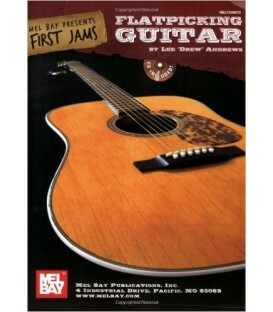 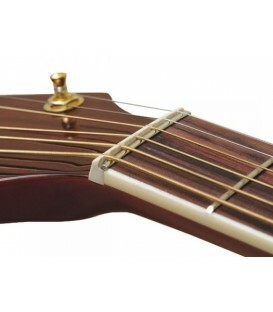 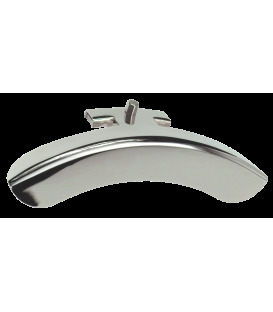 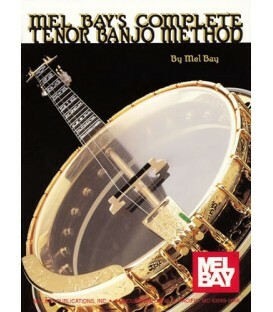 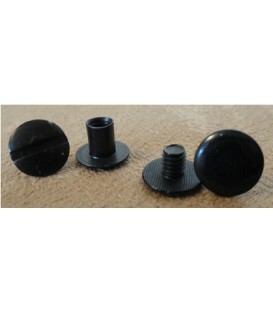 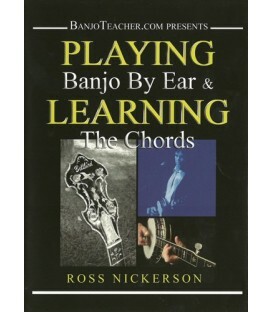 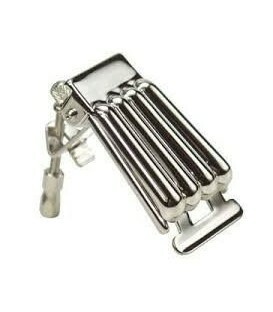 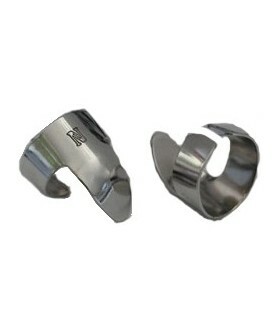 Uses leather tabs with plastic bolt and nut for attachment any size banjo head tightening hook or spacing of the hooks. 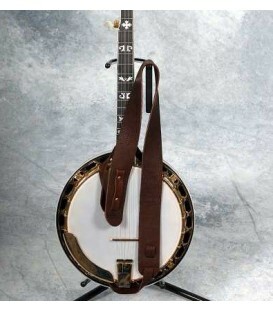 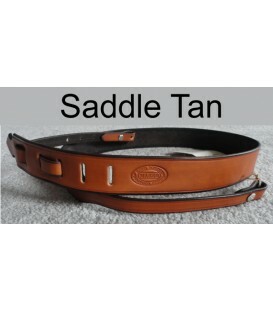 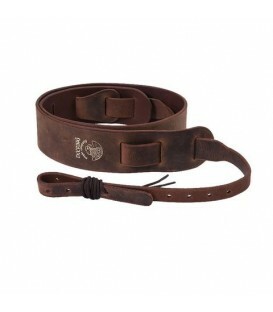 The leather tabs are the best way to attach a low priced banjo strap like this. 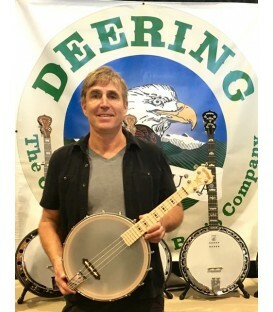 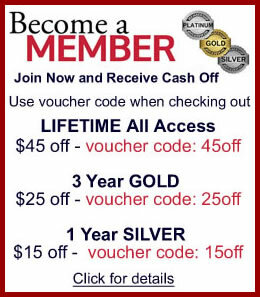 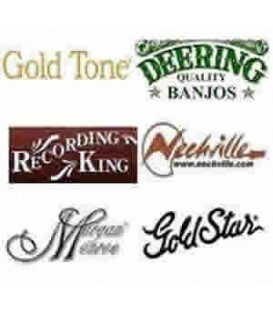 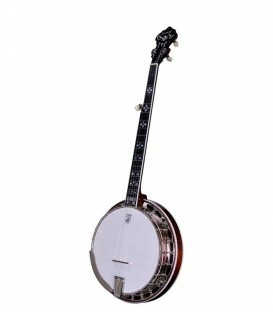 Most music stores carry cheap straps that have metal clips that make noise and can scratch the wood and hardware on the banjo. 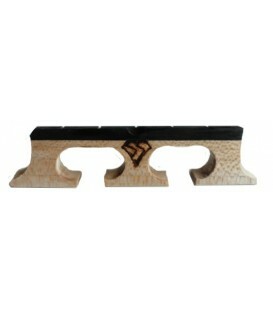 Here is a picture of the leather tab that goes around the brackets holding down the head. 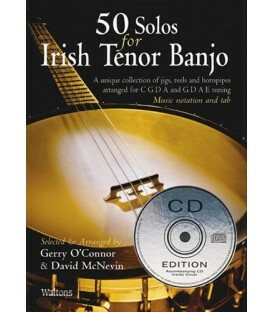 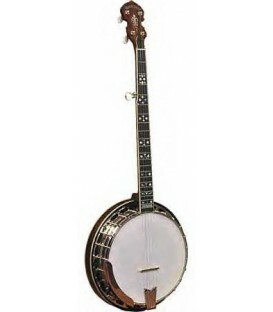 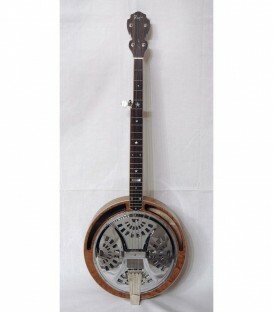 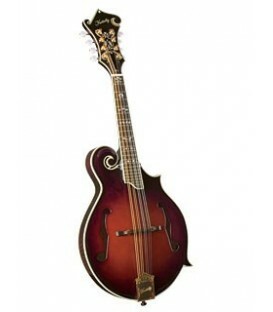 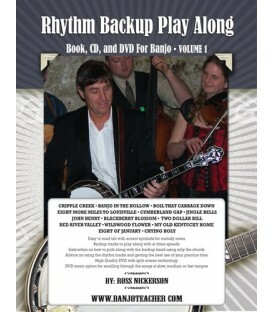 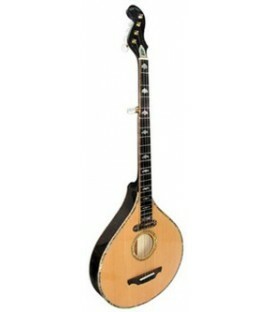 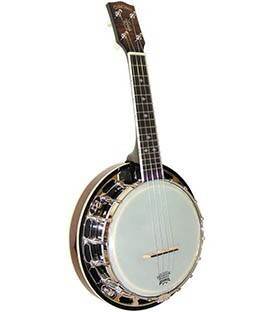 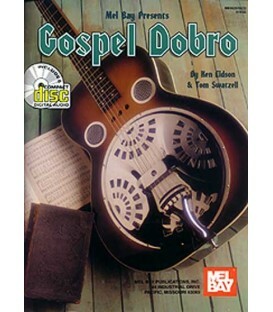 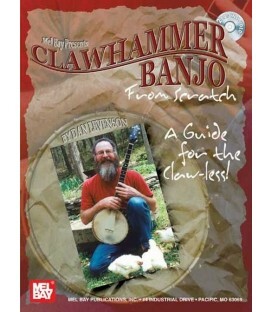 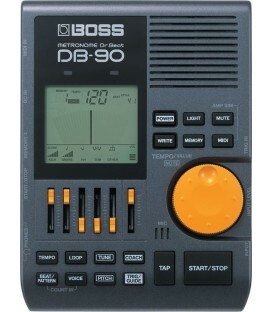 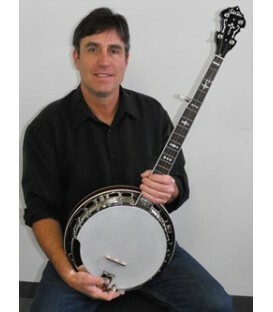 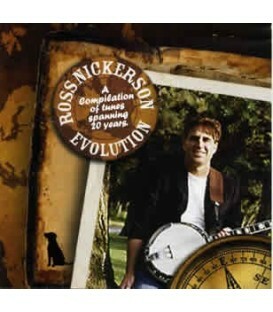 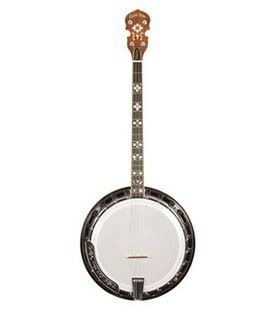 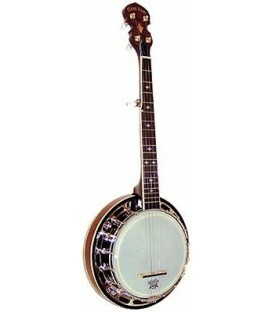 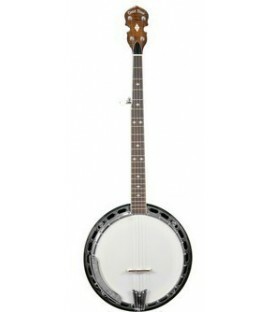 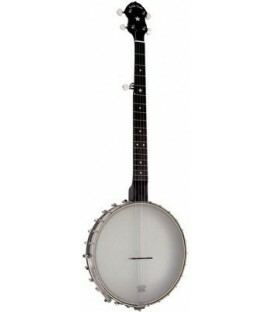 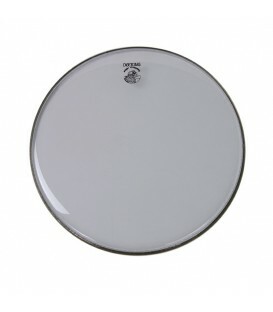 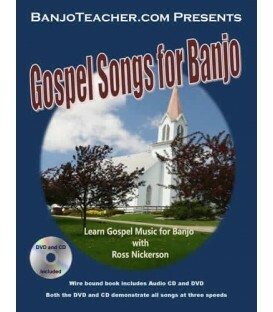 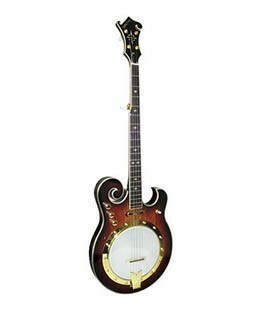 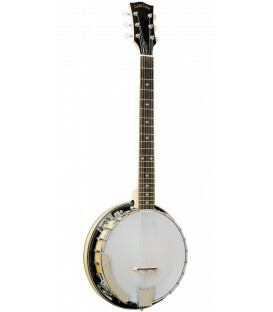 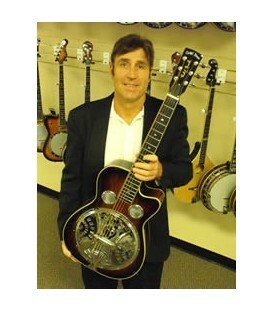 It attaches easily and makes no noise when you move it and won't scratch the banjo. 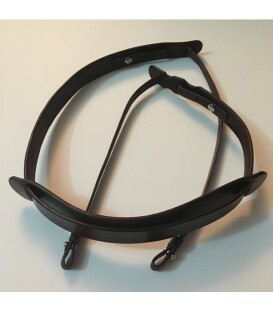 under the neck so it supports the neck. 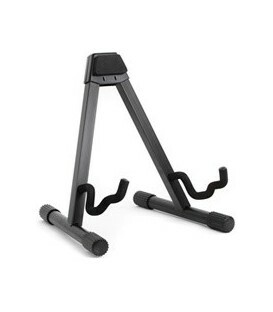 the side closest to the floor on the other side too. 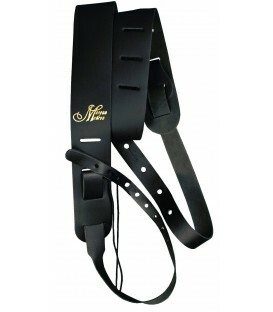 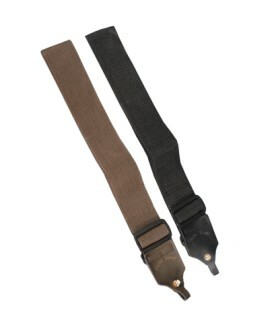 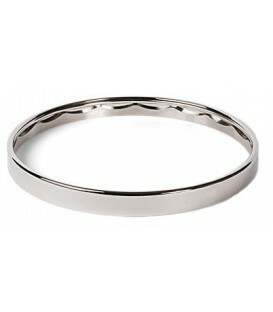 The attachment bolt and rounded nut seem very secure and the strap is comfortable. 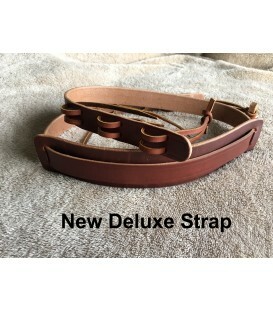 This will do nicely until I can afford a leather strap.